In the year 2013, total of 4.4 crore or 44 million smartphones were shipped inside India; which was 16.2 million in 2012. In the first quarter of 2014 (January-March), 17.4 million smartphones have already been shipped, which is 186% more than Q1 of 2013. We had reported earlier that smartphones still constitute only 30% of the total mobile devices! This shows the immense opportunity which the market presents as of now. Compared to overall sales of mobiles, total of 257 million or 25.7 crore phones were sold in 2013. 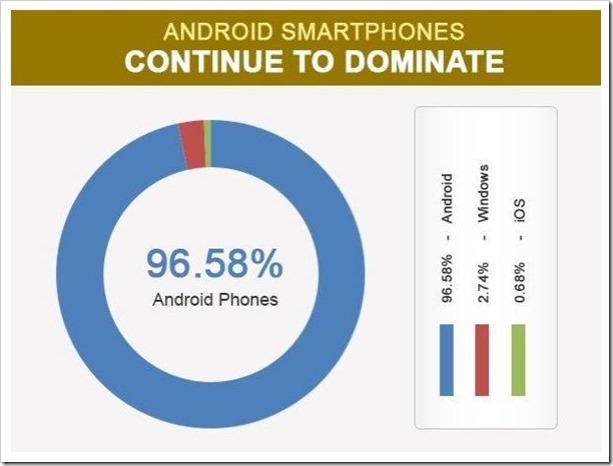 What is going inside manufacturers and marketers of smartphones in India? What are the trends which they are picking up early? Which features are being appreciated by the end users? 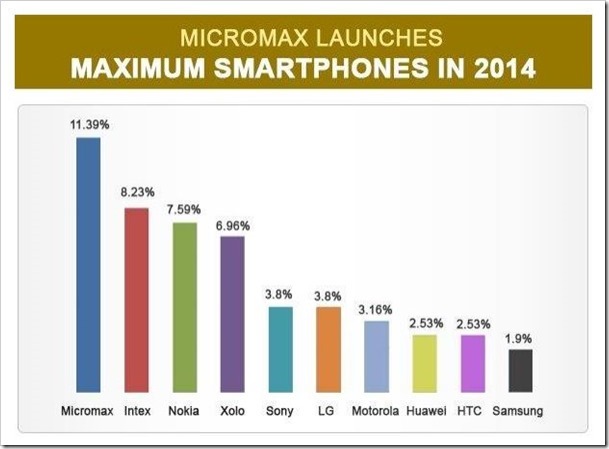 Micromax launched 22 smartphones in the Indian market, the maximum so far by any manufacturer. If we compare other manufacturers, then Samsung launched only 4 new models! 36% of all smartphones launched in India so far in 2014 have been priced between Rs 5001 and Rs 9999, making it a sweet spot for mobile pricing. 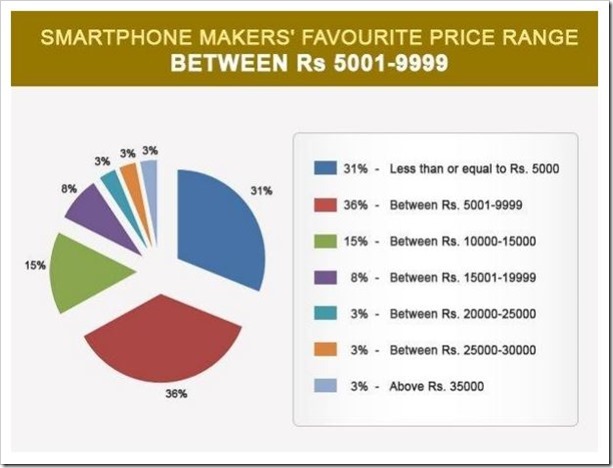 Interestingly, 31% of all smartphones launched were priced under Rs 5000. And only 3% were priced above Rs 35,000. Front camera is the most default feature now for every smartphone! 9 out of 10 smartphones launched in 2014 had a front camera, as some applications like Skype and Snapchat require it to get installed. The wave of selfie is certainly sweeping across the India smartphone users. Another very interesting trend: 90% of all smartphones launched in 2014 had dual SIM facility. Earlier, it used to be only budget smartphones such as Micromax, Karbonn and Lava having dual SIM, but now, bigger manufacturers such as HTC is also launching handsets with dual SIM. We Indians definitely need more numbers to communicate! Android continues to be a market leader when it comes to the OS department. 96.58% of all smartphones launched in India were powered by Android; whereas Windows scored 2.7% and iOS measly 0.68% in terms of handset launches. Average RAM (internal memory) of smartphones in 2013 was 346 MB, which has now increased to 442 MB. 43% of all smartphones launched in 2014 had 1 GB RAM, whereas 28% had 512 MB RAM. 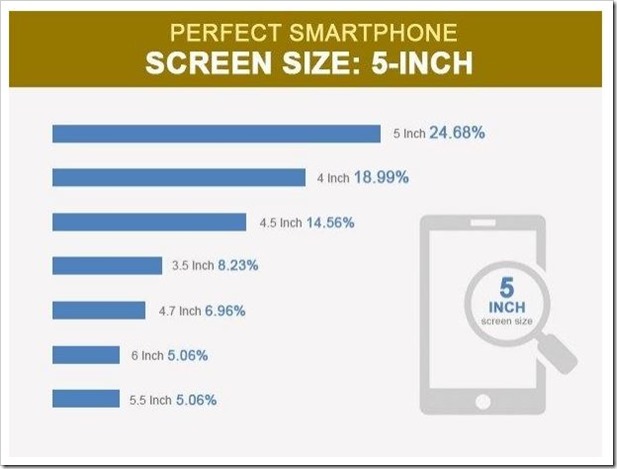 Only 12.5% of smartphones launched had RAM less than 256 MB. It means that content consumption (games, apps, entertainment) is rising inside India. Good news for content creators! You can find this interesting research done by PriceBag here.